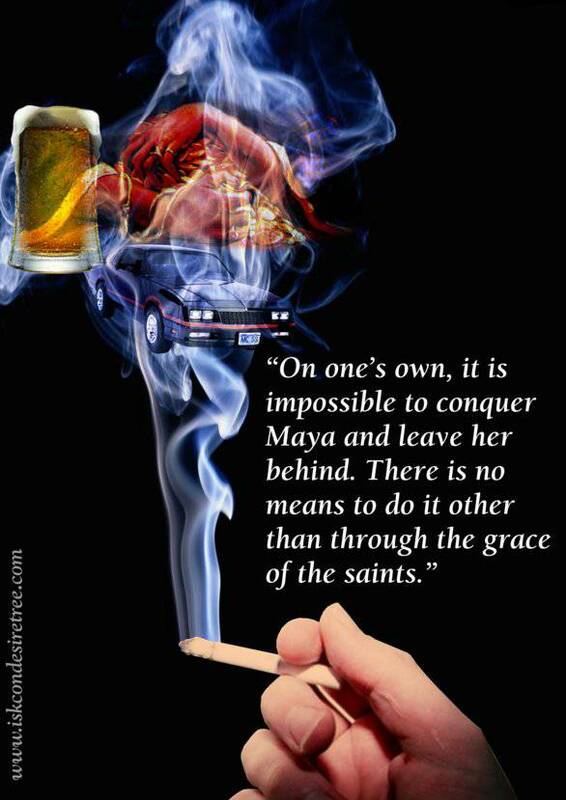 "On one's own, it is impossible to conquer Maya and leave her behind. There is no means to do it other than through the grace of the saints." Childish fools pursue external desires and enter the wide chords of death. The sages, having comprehended the liberated condition, never pray for the temporary things of this world. The symptoms of a sadhu are that he is tolerant, merciful and friendly to all living entities. He has no enemies, he is peaceful, he abides by the scriptures and all his characteristics are sublime. A real Saint is one who is genuinely detached from sense gratification and is truly attached to the loving service of the Lord.